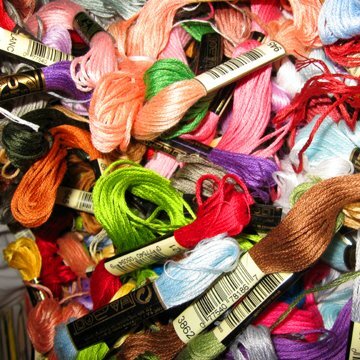 Embroidery floss (or thread) is yarn that is manufactured or hand-spun specifically for embroidery and other forms of needlework. 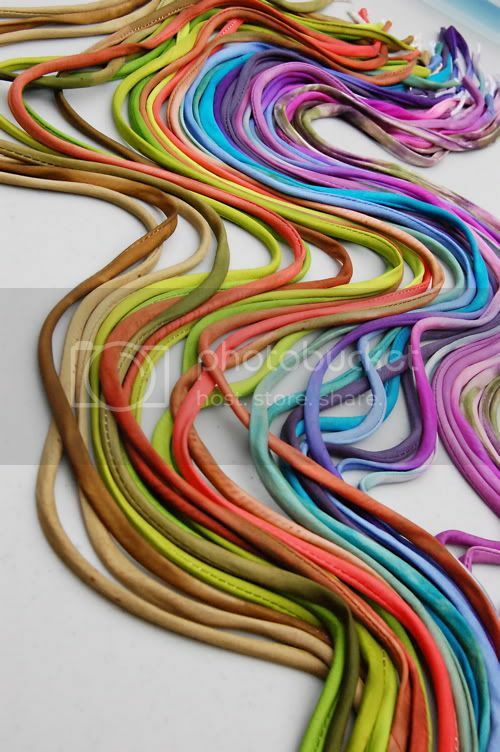 It is also very good for making bracelets! It is made out of cotton and is six stranded. It can be easily split which can be an advantage if you want to work with thinner material or a disadvantage if it frays too much. It usually comes in skeins of 8m length. 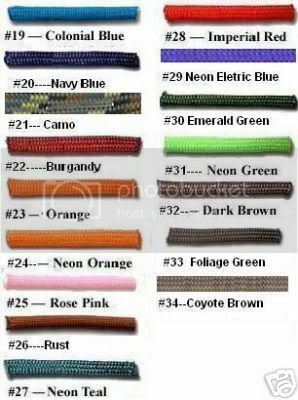 It is the material with the biggest variety on colors available. 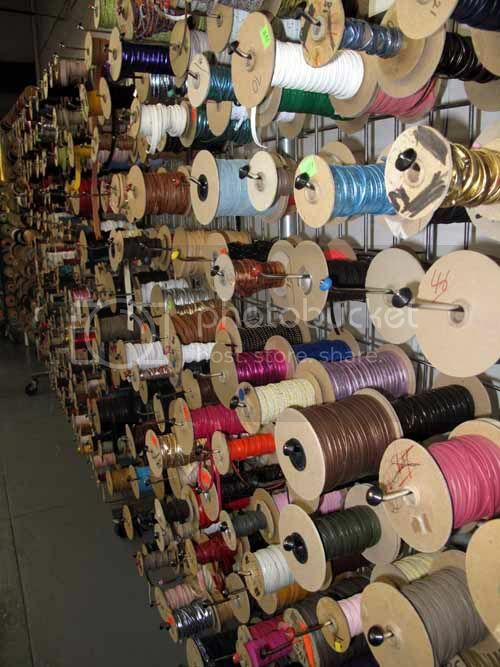 Embroidery floss is made by many different manufacturers and brands with big differences in quality. For more information on that check out the forums. Pearl Cotton is a material which is also a pretty common material for making bracelets. It's made out of 100% cotton. It is twisted and therefore rather easy to handle. It is available in three different sizes, 3, 5 and 8, with 3 being the thickest and 8 the thinnest thread. 5 is about as thick as embroidery floss and can be easily combined with it. 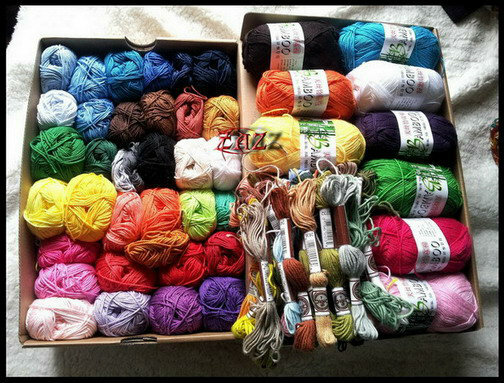 3 is especially suited for projects like bags where a big size is of advantage, 8 can be used for more delicate projects. Craft thread is a twisted material. The big difference is that it doesn't have to be cotton but usually is made out of synthetic fibers. 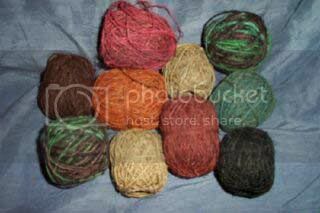 Craft thread is very economical, and cannot be often bought in individual skeins, it is usually sold in packs. It is very "cheaply made" and easily breaks. It is very similar to embroidery floss, but it isn't six stranded. 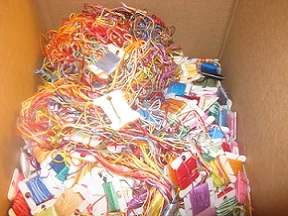 Therefore, it isn't recommended to be combined with embroidery floss or any other thread used for friendship bracelets. 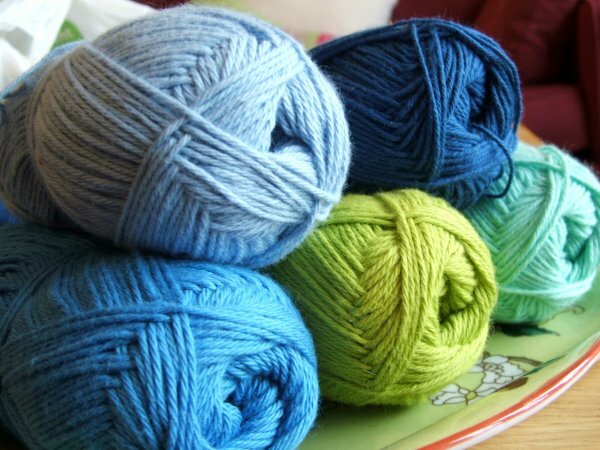 Yarn is a long continuous length of interlocked fibers, suitable for use in the production of textiles, sewing, crocheting, knitting, weaving, embroidery, ropemaking and friendship bracelet making. It comes in a variety of sizes and materials (cotton or synthetic fibers), so combinability isn't always given and it's best to stick to one manufacturer. 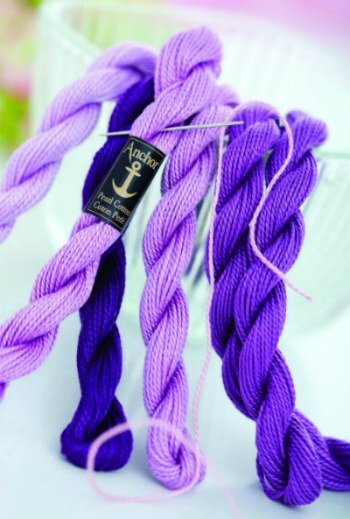 Crochet thread is specially formulated thread usually made from mercerized cotton for crafting decorative crochet items such as doilies or filet crochet. 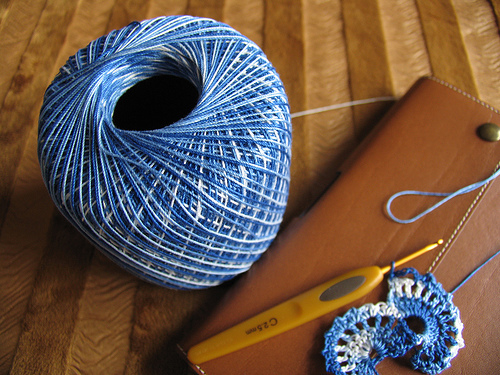 Crochet thread produces fabric of fine gauge that may be stiffened with starch. It comes in different sizes with 10 being the most common, but that is a little too thin for most of our purposes. For friendship bracelets size 5 (about as thick or a little thicker than embroidery floss, might be combinable) or 8 (a little thinner) are the better pick. IMPORTANT:When you want to use Sewing Floss, make sure that the string is doubled or tripled or even six stranded (comparable to embroidery floss), so it will be just perfect at friendship bracelets use. Now, good luck at tying! I hope this gave you some inspiration! The original author of this tutorial is Stefan, but it has also been edited by Rissa, Foz, Geyn, Gracie04, Huntress, muffin3, lorie, skpluvs2sing, Dodadoo, gracebri, ButterflyWings, Kestrel, Alicat and meimei. The tutorial was last updated 5 years ago.